Whenever someone conducts business online, they open themselves up to a data breach. Small businesses need to prepare their data against hackers and fraudsters just as much as big companies. No matter the size of your business, you should not underestimate the consequences of a data breach. 60% of small businesses close up shop less than 6 months after a cyber attack. Learn how to prevent data breaches and protect your small business with these 5 tips. In 2005, researchers identified less than 200 significant data breaches. By 2017, that number surged to around 1,300. Check out these data breach prevention tips for small business owners below to avoid becoming another statistic. Thinking about small business data protection before a breach is vital to preventing breaches and minimizing the damage. 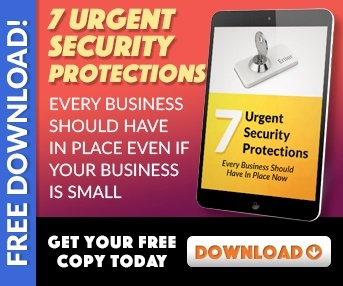 Do your research and understand the biggest security threats to your small business. Things like aftershock password breaches, payment-related attacks, and threats to mobile healthcare apps will dominate future data risks. Take a look at your current security setup and the information you store. Figure out what info fraudsters or hackers would most like to steal. This is usually information like passwords, business bank accounts, and credit card numbers. Once you understand the highest risks, you can better protect your business’s information. Formulate goals based on these weak points. Do everything you can to minimize your risk to exposure. Focus on employee training so work devices do not get left unsecured. Create distinct networks, if possible, to separate critical financial information from everyday functions. Install a two-factor authentication system and require your employees to do the same. Give each employee a unique username and password and limit access to important databases to those who need it. You should also destroy computers and information after it’s no longer needed. Include a data backup in your daily routine to stay ahead of cyber attacks. Although this does not directly prevent data breaches, it works great in cases of ransomware attacks. If you already have all your information, they have nothing to ransom after locking down your network. Contacting your financial institution and insurance agent to learn about available cyber liability coverage and what it entails. Any vital dates and other time-sensitive requirements. How to deal with the media after a breach. How you plan to handle customers and employees affected by the breach. Every business will address these issues in different ways, so consider your customers and their unique needs. When the time comes for your small business to deal with a data breach, you should now have a better idea of how to respond. You can do things to avoid this inconvenience for as long as possible. Following these tips to prevent data breaches is a start. You can also hire a professionally managed IT service like EnvisionIT Solutions. 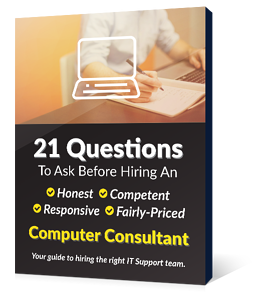 Contact their knowledgeable IT consultants today so you know you’re doing everything you can to prevent any breakdowns in your network!